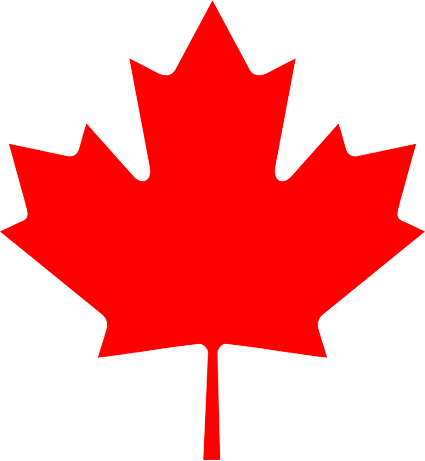 Canadians have many online betting sites available to them in 2019, with many of the best sportsbooks accepting customers depositing in CAD. Canada has a plethora of sports betting sites available to its citizens, with many of them prominent around the world. Because of the lack of true regulation in Canada, they are based in places such as the Caribbean and Central America, although more and more licences are being granted by Canada’s own Kahnawake Mohawk Territory. The most popular sports in Canada to bet on include ice hockey, basketball and baseball, although the betting landscape is much more diverse than that with the online sportsbooks available hosting thousands of different markets daily, on hundreds of different events and sports. As we have previously stated, most of the best betting sites at which Canadians gamble are based offshore, hence they do not legally have the right to operate in the country, although they continue to do so. While this may make you sceptical of using their services, these sites include brands such as Bodog.eu and BetOnline.ag which have built up massive client bases since launching many years ago. It seems almost certain that in the coming years Canada will take a more proactive approach to regulating the gambling sites Canadians bet at, but for now it pays to do your homework before committing to a site that is based offshore. Read sites such as this one and many others out there and make informed decisions. The Kahnawake Gambling Commission sites that offer sports betting generally don’t feature as many markets as their overseas counterparts, but you do have the added layer of security of gambling with a site registered in your country. I’m not joking when I say there are 100 sportsbooks you could sign up at and successfully wager with when you are in Canada. This means they need hooks to attract you to join a given bookie; these usually come in the form of incentives. Sign-up bonus offers: These generally involve matched deposit bonuses. It’s as simple as joining a chosen bookie and making your first deposit. They will then match the deposit at a certain percentage. For instance, it might be a 200% matched deposit up to the value of $200. This means you could deposit $100 and then receive an extra $200 to bet with. Every bookie will have different stipulations attached to their offers, so read the terms and conditions before accepting; there is no point to it if it’s next to impossible to clear the wagering requirements. Promotions: These generally run on a specific event and could be anything from boosted odds on selected NHL betting lines to cash-back offers, where if your team leads at quarter-time but goes on to lose, you receive your money back. Check out sites such as this one in the lead-up to sports and racing events to find the best bonus offers that are available. Ice hockey is the No.1 sport in Canada and any sportsbook targeting this market will have extensive markets available on the National Hockey League and many other domestic competitions. Betting lines are one of the most popular way to wager on hockey and the bookies we recommend will definitely cater to those punters. Some will even have Canadian lines, which are available only on hockey. Obviously basketball, baseball and football (both American football and soccer) have many followers in Canada and they are all gambled on heavily. Lines are again prominent at online sportsbooks accepting bets on these sports, while player and team props are also popular ways to bet. Because most of the betting sites you will gamble at will have far more bettors than just Canadians, you will be able to bet on everything from cricket, various football codes around the world, politics, reality television and much more. In April of 2019, the first whistle will blow for the Canadian Premier League, which will be first professional soccer league ever established. The competition will have seven teams for its inaugural season and will feature a mix of the best domestic and international stars. Betting sites in Canada will feature markets on the big international horse racing events such as the Kentucky Derby and rest of the US Triple Crown, the Melbourne Cup, The Prix de l’Arc de Triomphe and many more. Although it is not a mainstream pursuit in Canada, daily horse racing events will also be covered extensively, with everything from win/place bets, parlays and your exotics such as trifectas, quinellas and others among the options. The Canadian Triple Crown is the biggest horse racing event on the local calendar, with a quirk of its existence (it was first held in 1959) being that the three races — Queen’s Plate (1¼ miles), Prince of Wales Stakes (1³/16 mile) and the Breeders Stakes — are raced over the same distance as the American version. Race tracks in Canada include Fort Erie, Woodbine, Kawartha Downs and Grand River. Come on, it’s 2019. Of course you can bet on your mobile device. It’s not hugely difficult and most online sportsbooks will have fully functional sites that will run just fine in your mobile browser. You will be able to access nearly as many markets, although you may find there are fewer methods of depositing money into your account. Many of the best online sportsbooks servicing Canada also have apps available to download, with these coming on both Android and iOS phones and tablets. One of the greatest things about the best online betting sites is that they are always looking for an edge over their rivals, hence they spend up big securing the streaming rights for sports leagues or events. Often the streams will only be available on mobile, although many will also be available on PC. You can expect this space to continue to grow in the coming months and years, particularly when Canada gets proper regulation surrounding sports betting. Funding your sports betting account is extremely easy, with most online betting sites accepting credit and debit cards. Deposits can be made using your standard card such as Visa or MasterCard. These deposits will be instant and will allow you to start betting straight away. Other popular ways to fund your betting account in Canada include prepaid cards, such as Visa, web wallets (Skrill, Neteller) and even Canada’s own Interac e-transfers which allow you to access your online bank account and simply transfer the money over instantly. Bitcoin and other cryptocurrencies are also becoming more prominent as a method of deposit, with the Canadian government yet to formally address gambling and bitcoin. Withdrawing money at Canadian sports betting sites will also be easy, with simple transfers back to your bank and checks in the mail just some of the available options.